Depending on your age, the thought of retirement may or may not have crossed your mind but I think it's an important topic to discuss whether you are 23 or 53. 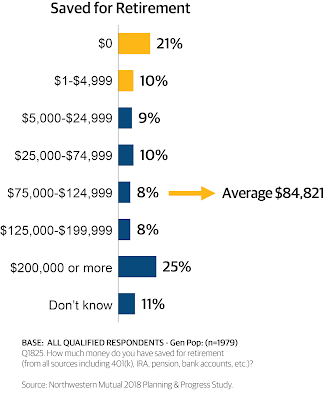 Northwestern Mutual's 2018 Planning and Progress Report conducted a survey on what Americans have saved for retirement and found that a third of the repondents had less than $5000.00 set aside, and the average saved was $84,821.00. 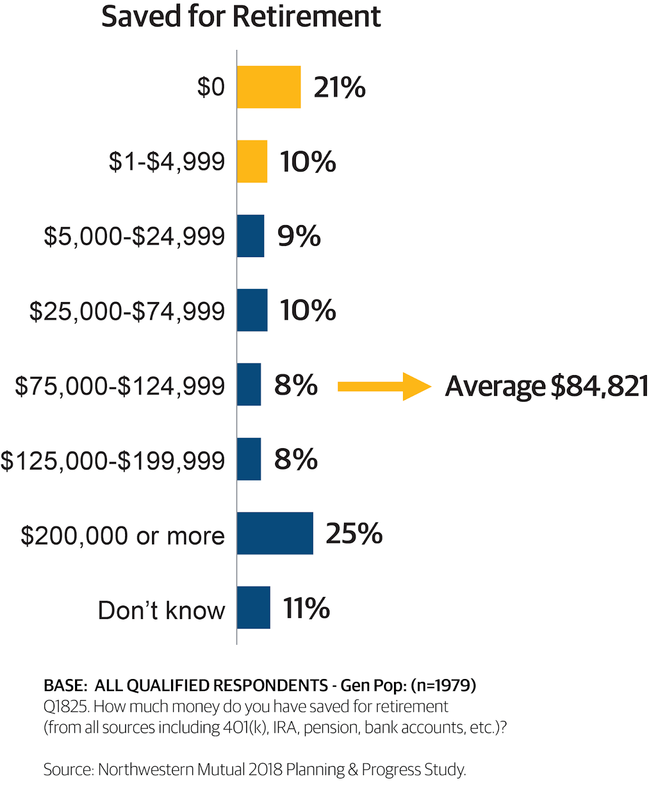 On top of that 46% of adults don't have any plans to prepare for the likelihood of them ouliving their savings! Looking at the image below, where do you fall in the scale? If Northwestern's findings have motivated you to ask what can be done to help, I believe home ownership can be a good option depending on housing costs where you live. 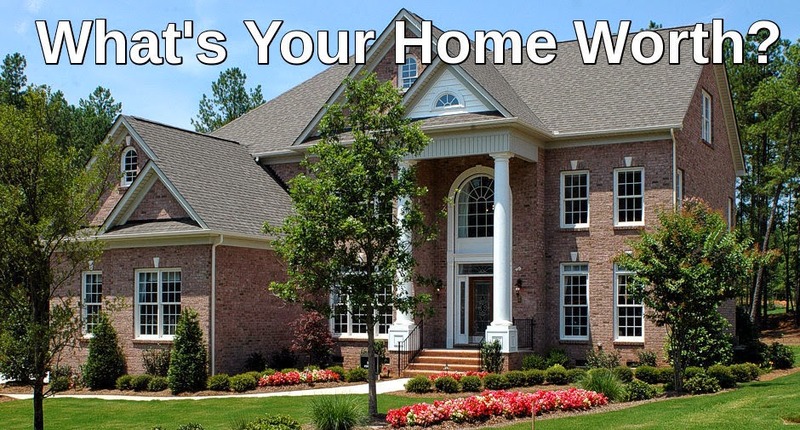 Every 3 years the Federal Reserve conducts a Study on Consumer Finances (SCF) and the latest report recently released shows that the average networth of a home owner is now 44x ($231,500.00) that of a renter. ($5,500.00). Building equity in your home is a way of forced savings that can be available for any emergencies or unexpected expenses. Home owners also have the advantage of any price appreciation since the time the home was bought. A tax deduction may be another benefit for those that itemize, and for those so inclined a home may also be incoming producing by getting a roommate. The other good thing to know about home ownership is that free help is available in the form of low down payment loans and home buyer grants. Buying a home is easier than many people think and with all the benefits it provides it makes sense to explore this option as the foundation to help build your networth and boost your retirement. It's A Good Time To Be A Seller In Hampton Roads!